Home » Justice & Economics » Why Does the Bible say “The Lord Sends Poverty and Wealth”? Why Does the Bible say “The Lord Sends Poverty and Wealth”? Thus, Hannah argues that there is a transition of fairness at work, where the first will be last and the last will be first. And who’s responsible for this? Hannah’s point is clearly that the Lord can give wealth to the poor and bring poverty to the rich, just as He can give children to the infertile (as Hannah just has experienced) while making those who have many kids impotent. To argue then, that this text supports the status quo of the rich being rich and the poor being poor is the absolute opposite of what the text says. Hannah isn’t defending the fact that she previously couldn’t have children with a fatalistic “I guess God wants it…” – she’s saying that God can change such circumstances! 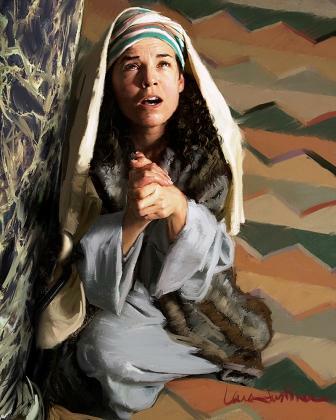 She is the poor woman whim the Lord has given rich wealth in form of a prophetic child. Hannah doesn’t even say that all wealth and poverty is caused by the Lord’s will, the context is clearly great economic change. The role of fatalism in Scripture is a big subject that requires much more discussion than this blog post can offer, but since Hannah does not deal with those getting rich and poor from oppression, but rather when personal economic revolutions take place, this particular passage cannot be used as an argument that everything that happens is according to God’s will. By Micael Grenholm in Justice & Economics, Prayer & Worship on September 23, 2015 .